Traditionally driven by vertically integrated manufactures (known as IDMs), with their desktop and laptop CPUs, this processor technology space is also driven by mobile markets especially by mobile application processors. By introducing their own series of processors, popular mobile device designers and manufacturers have started the trend of using home-grown application processors in their own products. Since then, mobile application processor area has become more competitive with companies from Korea, Japan, China and Taiwan vying to secure their shares in the mobile market while the more established chip-makers try to maintain their existing positions. With the growing interest and investment in AI (Artificial Intelligence) and ML (Machine Learning), there are number of AI and ML processors or accelerators being developed and announced from major companies including traditional processor manufactures, semiconductor designers, graphics chip makers, and other broader hardware developers. For desktop PCs, servers, smartphones or tablets, processors and logic are the heart of their operation. Innovations such as smart and adaptive power savings, efficient packaging (Fan-Out packaging and WLP for example), adoption of new semiconductor process/device technologies and other architectural features are of importance for intellectual property holders. As processors have many building blocks and peripherals integrated, analyzing processor does require broad range of expertise (CPU architecture, power management, cache memory management, security, I/O interfaces, embedded memories, advanced process and device technologies, packaging, etc) which TechPats strives to obtain to serve its clients. Process technology, which is the foundation of increased performance of processors, is one of key focus areas for TechPats. Ranging from deep analysis on transistor level using TEM imaging followed by materials analysis or doping profile analysis of source/drain junctions or silicon substrate to package level analysis, TechPats has experience and expertise to analyze state of the art processors (desktop, laptop, mobile, graphics, and media processors) and logic devices. Analyzing embedded memories, such as SRAM, NVM (Flash) or eFuse, is also an important topic for processor analysis. Detailed analysis of metal (copper) interconnect for high performance processors can be done to support patents in this area. TechPats understands the importance of identifying a foundry or a manufacturer of a processor or a logic device and is leveraging existing process analysis data on different companies wherever applicable. Circuit analysis on select blocks (I/O, peripheral blocks, embedded memories) and package analysis are two other areas where TechPats has capability of providing analysis solutions. In addition to device level analysis (circuit analysis in particular), functional testing often provides a good alternative or complementary analysis solution to certain processor patent problems. Evaluating power consumption characteristics over different operating conditions using our in-house power measurement capabilities of battery powered smartphone could be very efficient and cost effective to support certain patents which would have been a huge challenge if only circuit analysis was considered. Datasheets and other product documents based analysis an important component of providing processor and logic device analysis for patent related analysis. Where applicable, open source (Android for example) could be another resource that TechPats uses to provide support for relevant patents. 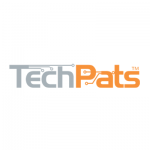 TechPats’ processor and logic product analysis expertise is a well-organized practical yet comprehensive combination of complementary analysis capabilities including circuit analysis, process analysis, imaging, and system level testing capabilities and datasheet analysis. The end result is most cost effective and efficient solutions to TechPats’ customers. For multimedia related patent support, TechPats can perform functional testing using either standard test vectors or custom written test patterns to analyze target products operations. TechPats has found that this functional testing is an important complementary analysis means for complex processor and logic related patents.